Hello Clique Fans! Erica here with you to bring you our July challenge! First thank you to everyone who added projects in our Clique Facebook group for the June challenge! The randomly selected winner for June is Denis Montecinos! Please email erica@cliquekits.com to claim your prize! We hope to see you again this month for our July challenge! This month our challenge is ANYTHING GOES so have fun and lets so those projects everyone! I know a lot of you are scrapping your summer memories so add them to the July challenge album in the Clique Facebook group for a chance to win a gift certificate to the Clique Kits shop! Here is a look at some inspiration from a few of our design team members using the July 2017 kits! 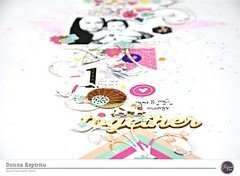 Categories: Challenges | Tags: Challenge, clique kits, cut files, scrapbooking, the clique | Permalink.